We do not know a whole lot about our dinner tonight except our bone in New York Strip steak was raised by Beffa Springs Ranch in Petaluma California. 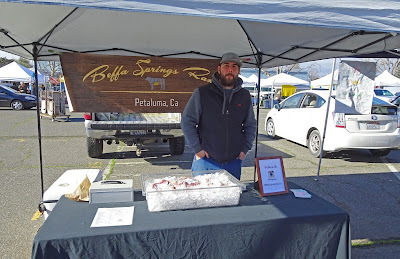 We were at the Santa Rosa Farmers market last weekend which I might add is my kind of farmers market with three different meat purveyors. The vendor did tell me this beautiful one and a quarter pound steak was grass fed and grain finished. 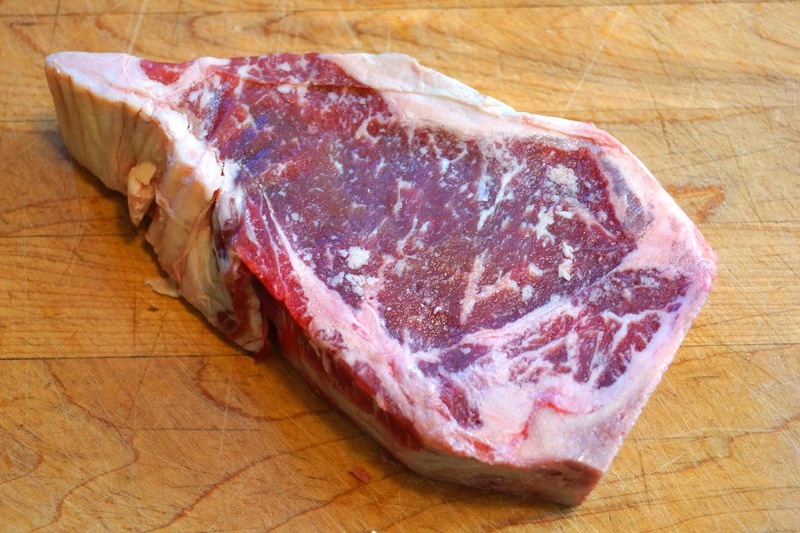 The marbling of fat looked fantastic and I had to have it. Let's fire up the grill. I trimmed away the extra fat from our steak. 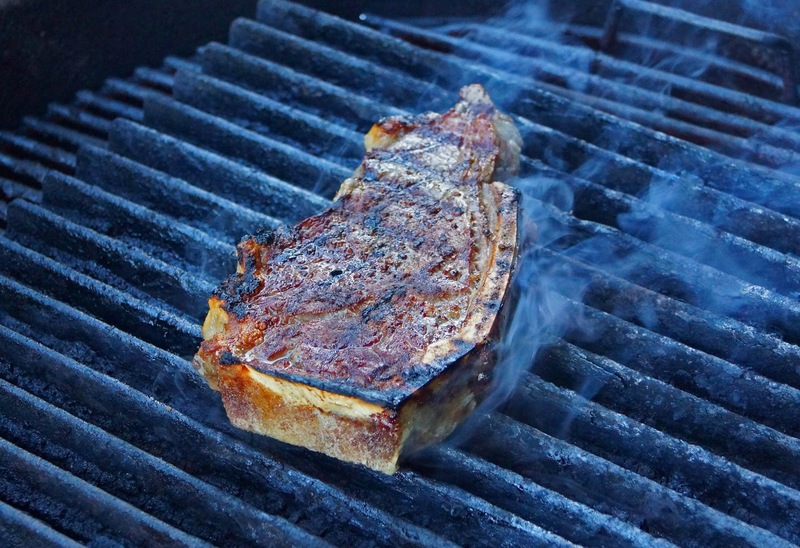 I love the flavor of beef fat but it does cause flare ups on the grill and we do not want or care for extra char flavor. It seems to be a trend on the television cooking reality show to use the term char instead of burnt. A liberal dousing of kosher salt and freshly ground pepper one hour before cooking was all we needed. Seasoning the meat beforehand allows the spices to penetrate and actually transform the texture and flavor of meat. It is also a good excuse to bring the protein temperature closer to room temperature. A very hot direct heat charcoal fire on cast iron grates cooked this to a perfect medium rare. This was one fantastic steak. 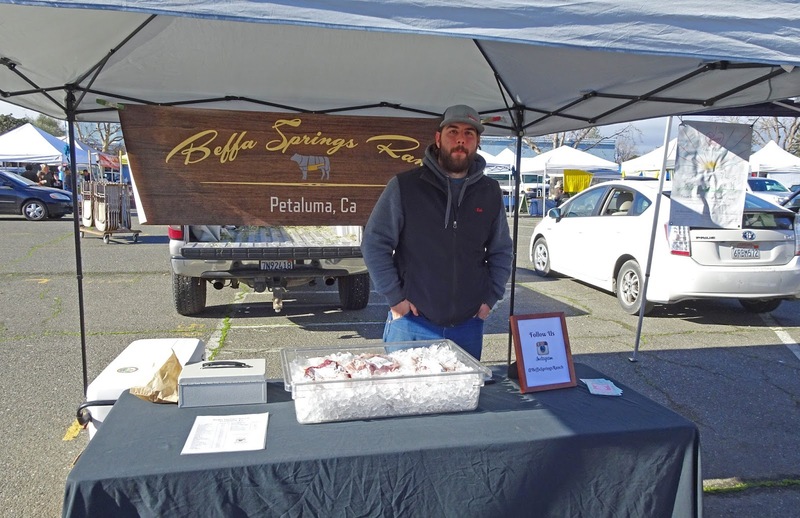 We did not know a whole lot about Beffa Springs Ranch except they are a local farmer that raises some good tasting beef. That is one fine looking steak. I think heavily caramelized is also substituted for burnt on occasion. Big Dude, Burnt is burnt. I love smoke but when there is too much char or caramelized it can turn very bitter. I do love "Burnt Ends" which are not burnt at all. Well at least they shouldn't be.